A 1913 ad—unfortunately, I do not have the source of this one—suggested that mothers should make lots of candy. Why? 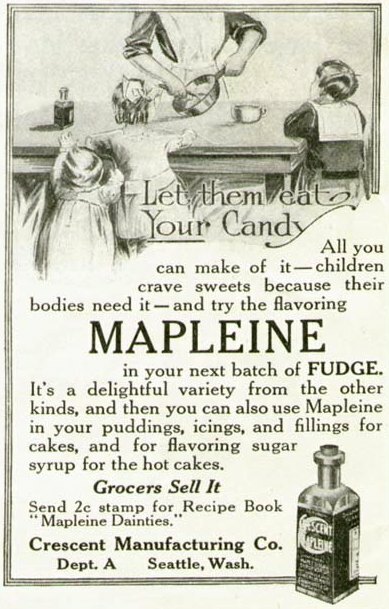 “Children crave sweets because their bodies need it.” Mapleine Fudge is suggested to make sure the kiddies get their daily dose of sugar. The sixteen-page booklet is much smaller than it appears in this photo. It’s about 3″x5″, with each page containing about two or three recipes. 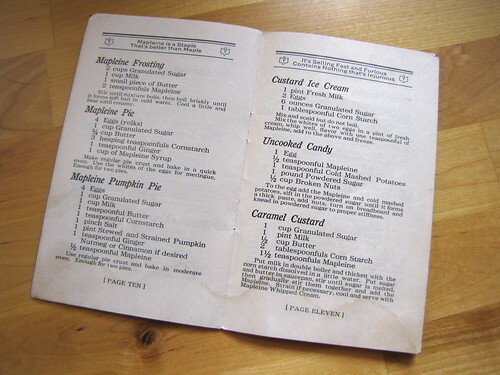 There is a nice assortment of recipes, including syrup, icing, nut bread, ice cream, cake, jellies, “Sweet Potatoes Southern Style” and “Baked Beans au Mapleine.” There is even a recipe, “Uncooked Candy,” that consists of egg, sugar, nuts, Mapleine, and… cold mashed potatoes. 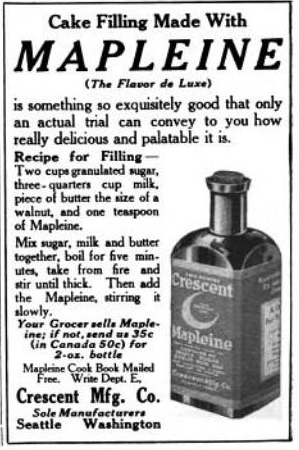 Note the slogans at the top of the page, including "It's Selling Fast and Furious/Contains Nothing that's Injurious"
Take off and beat hard until it grains, then pour in buttered plate. Chopped nuts, figs, dates or cocoanut spread on the plate before pouring makes tasty variations. 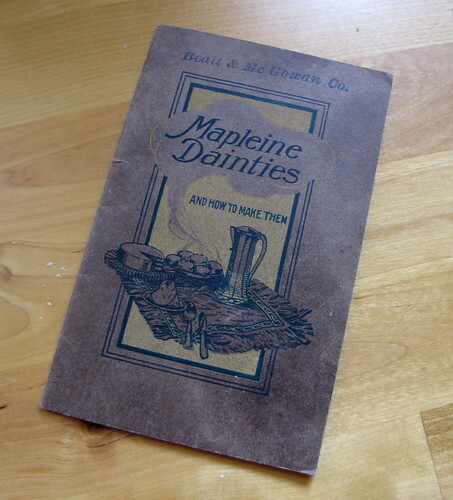 The Mapleine Dainties booklets continued to be distributed for at least a couple of decades. So, why was the Crescent Manufacturing Co. named “Crescent”? Was there any connection to the now all-but-vanished logging port, Port Crescent, some 15 mi. west of Port Angeles? Some fudges/fudge-like things are still grainy! I love making Scottish tablet at the holidays. My grandma’s excellent fudge recipe is grainy as well. And melts in your mouth. I actually don’t like non-grainy fudge that much.